← Apple Reportedly Granted Ownership Exemption to Open Retail Stores in U.A.E. Lifestyle clothing brand FatFace has announced that its total sales increased by 2.7% to £205.4m for the 52 weeks to 30th May 2015. The UK retailer puts the increase of sales down to the continued growth of e-commerce and UK store expansion. 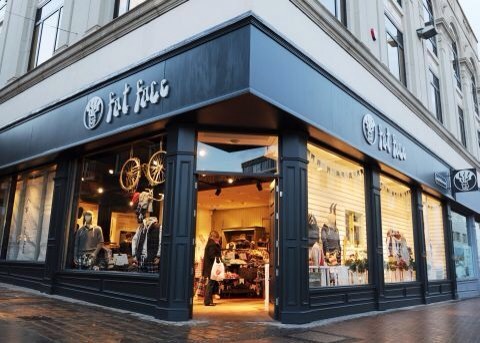 Fat Face invested £9m across its stores, ecommerce and IT during the period – a record for the business. Online sales increased by 11.1% and now represent over 16.2% of overall sales compared to 14.9% in the previous year. Web visits also climbed 16.5% to 19m while visits via a tablet or smartphone grew from 57% to 64% in the year. The company attributed lower EBITDA of £36.5m, compared to £39.3m in the prior year, to the unseasonably warm weather in the second quarter and increased capex investment. Fat Face increased its store estate by 8% to span more than 350,000 square feet during the year and now plans to take the brand to the US. The retailer now has a live dedicated US website and the opening of physical US stores scheduled for the fourth quarter of the current financial year. Anthony Thompson, Chief Executive of FatFace, said: “It’s been a year of consolidation and investment for the business in variable market conditions. We were pleased to increase total sales by continuing to meet our customers’ needs through improving our product range, store estate and e-commerce offer. After a difficult second quarter where the sector as a whole was impacted by the unexpectedly warm weather, we traded well through the Christmas period and over the year have continued to maintain our focus on being a full price retailer. Posted on August 21, 2015, in #international, #retail, #uk. Bookmark the permalink. Leave a comment.